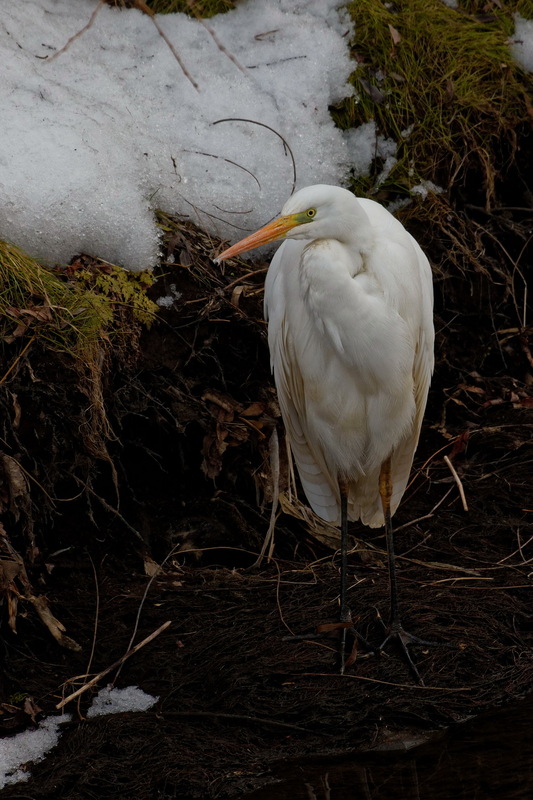 The lone Great Egret was on the river yesterday. 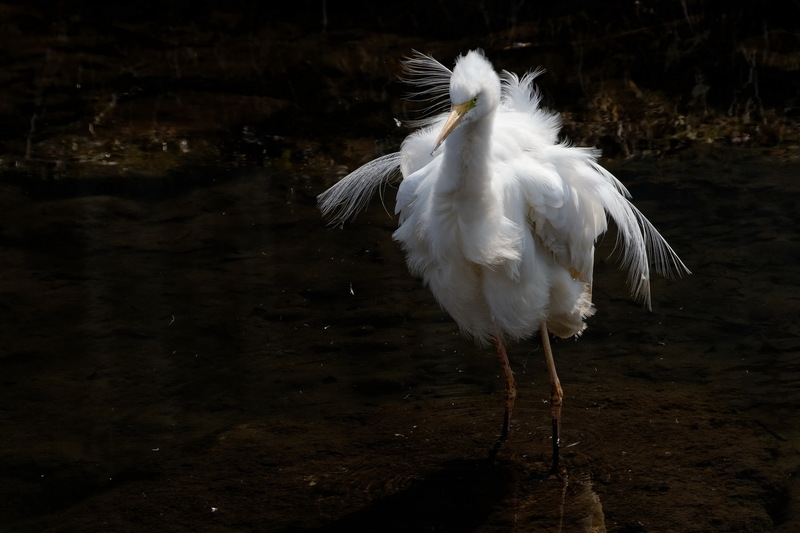 No only was it the only Egret, there were hardly any other birds around as has been the case all year in town. Just a single Winter Wren and a couple of Dusky Thrush and the usual sparrows, crows, spotbills and bulbuls. 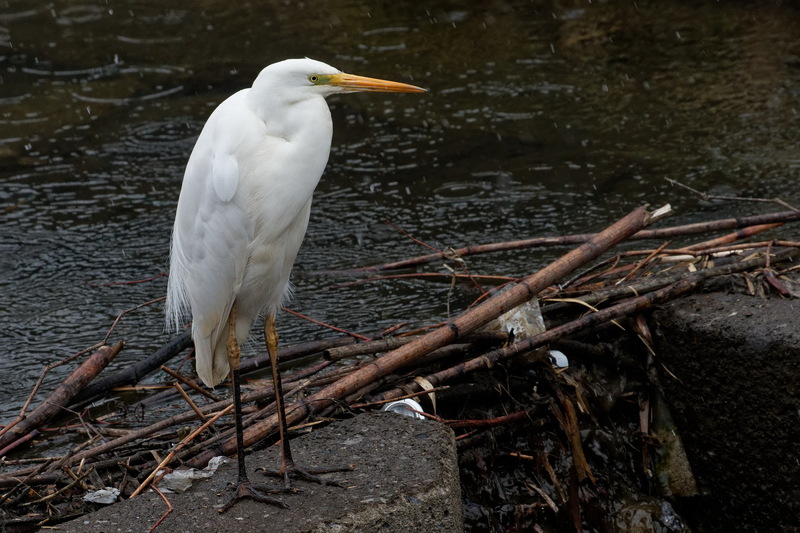 A Great Egret on the river near my apartment this morning. Nothing else around, the theme of this winter. Further downstream the river has been ‘improved’. This means removal of trees in Japan. Yes, Japanese civild servants think a barren concrete garbage strewn river is better than riparian woodland. The stretch they destroyed was where I have seen Night Herons over the last 12 or so years. I will never see them there again. No more singing Oriental Reed Warblers this summer, no more migrants sheltering there in spring and autumn. To add insult to injury the workers who chopped down the trees have left all the garbage that people routinely throw there. Tyres, futons, plastic bottles, beer cans, rice cookers, old TVs etc. Piles of it everywhere. Not their ‘responsibility’ I suppose. I did hear the trees were removed because of fears of flooding (ie the uprooted trees could block the river). I’m not sure about this: I suspect it is just civil servants spending money at the end of the tax year. The stretch closest to my apartment still has a few trees. I’m sure a civil servant in some office has his inkan poised ready to stamp his approval to remove those. I plan to move next year anyway, I hope I’m not around to see the final trees removed. 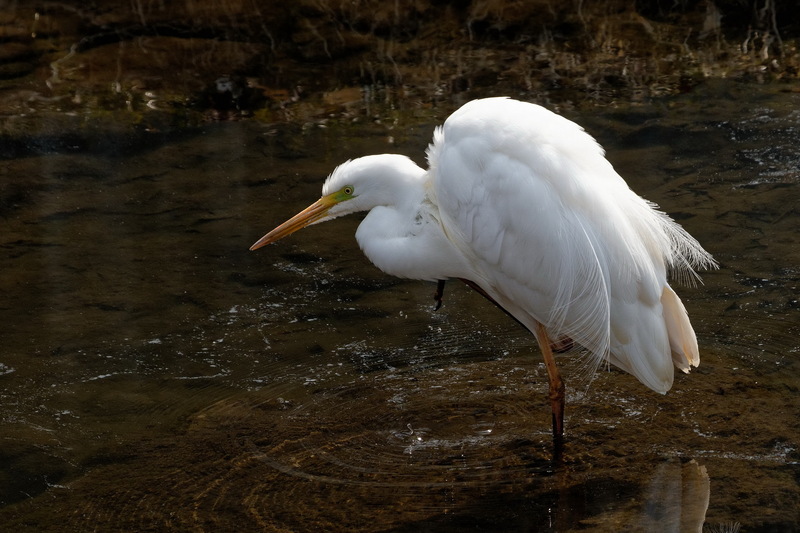 A Great Egret on the river near my flat today. Nothing much in town at all. No Waxwings or winter finches. Not even any Dusky Thrush. Very quiet………………..